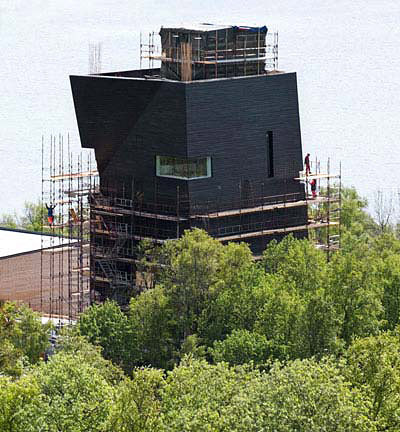 The Knut Hamsun Center, located in HamarÃ¸y, Norway and designed by Steven Holl Architects, will open to the public on August 4, 2009 to celebrate the 150th anniversary of Knut Hamsunâ€™s birth. Dedicated to Norwayâ€™s most inventive twentieth-century writer and recipient of the Nobel Prize in Literature, the 2700-square-meter center is located above the Arctic Circle by the village of Presteid of HamarÃ¸y, near the farm where Hamsun grew up. The building includes exhibition areas, a library and reading room, a cafÃ©, and an auditorium for museum and community use. The Knut Hamsun Center, located in HamarÃ¸y, Norway and designed by Steven Holl Architects, will open to the public on August 4, 2009. 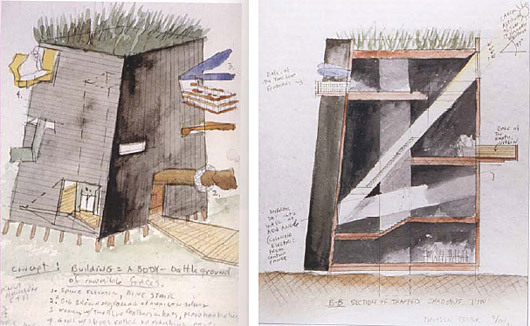 The concept for the museum, â€œBuilding as a Body: Battleground of Invisible Forces,â€ is realized from both inside and out. The wood exterior is punctuated by hidden impulses piercing through the surface. 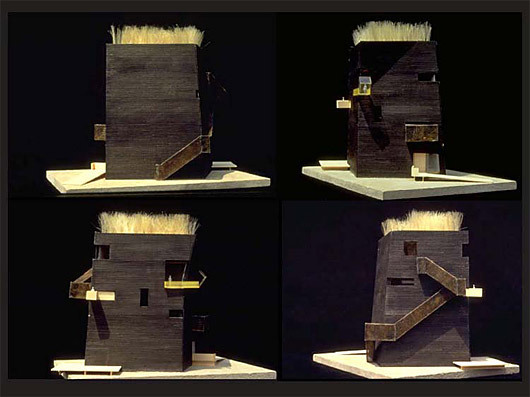 The spine of the building body, constructed from perforated brass, is the central elevator. The board form concrete structure with stained white interiors is illuminated by diagonal rays of sunlight calculated to ricochet through the section on certain days of the year. 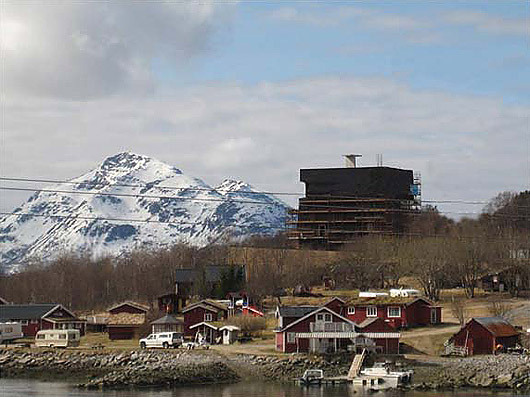 Designed in 1994, the building has survived Norwegian controversy with over 300 local articles. In 2005, the original design was reinstated with the support and dedication of Alf Einar Ã˜ien and Aaslaug Vaa and in close collaboration with Oslo-based LY Arkitekter. The realized building embodies all the original design concepts and includes the addition of a community auditorium. The auditorium is connected to the main building via a passageway accessed through the lower lobby, which takes advantage of the natural topography, allowing for natural light along the circulation route.